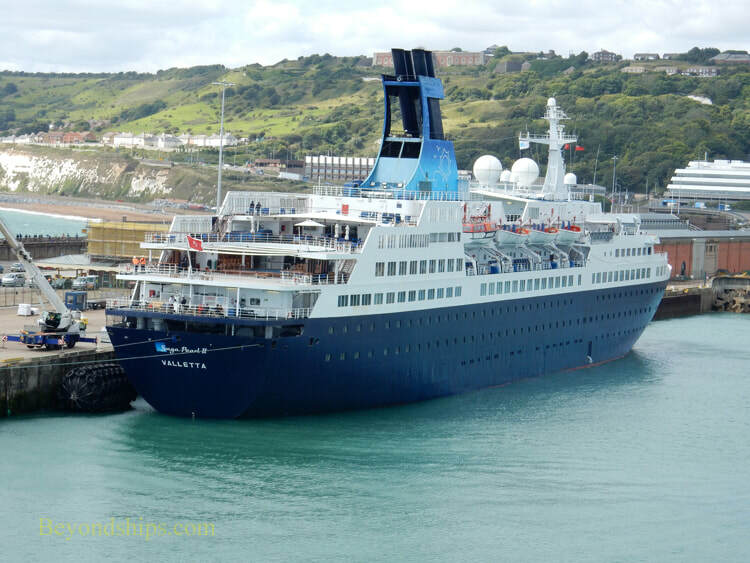 The cruise ship season in Dover runs from April through October. 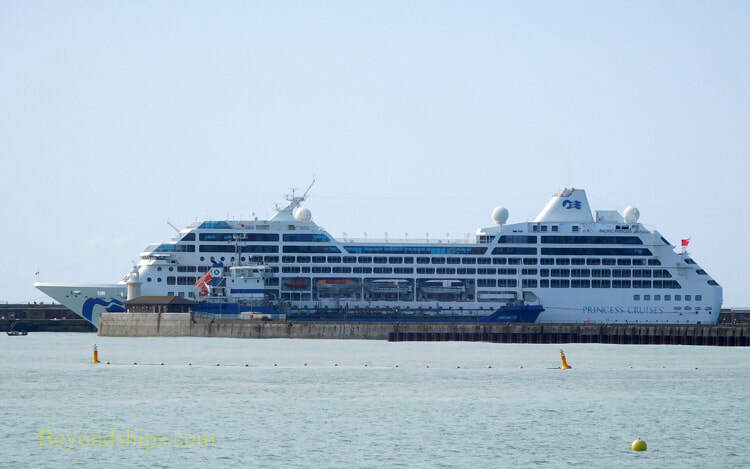 Most of the ships calling at Dover tend to be small or medium-sized cruise ships. 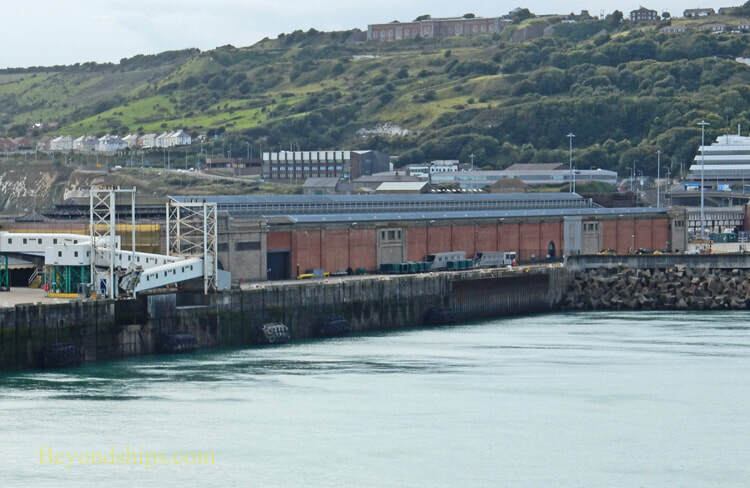 Dover has three cruise ship berths all of which are located along the Western Docks. There are two cruise terminals both located along the quay that forms the southern side of the harbor. 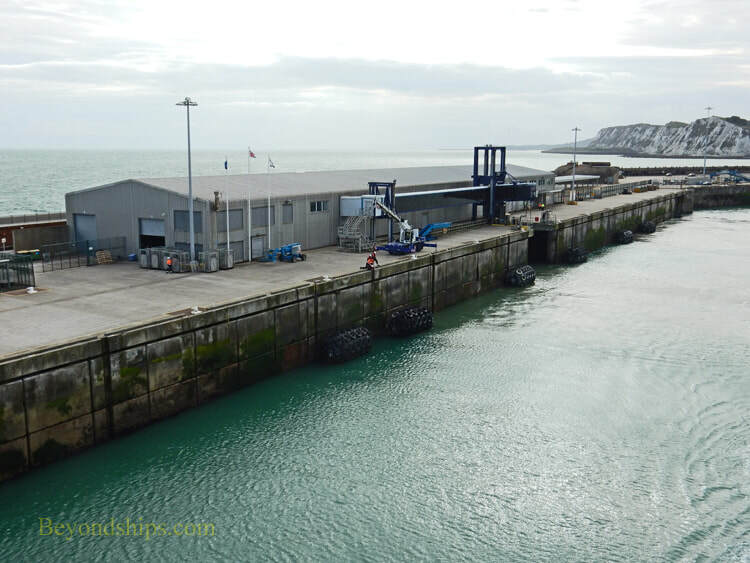 Terminal 1 was built in 1914 as the Dover Marine Railway Station. Shortly thereafter it became an important link in moving soldiers to the battlefields in France and for returning wounded. It closed as a railway station in 1994 and is now used as a cruise terminal and events venue. The terminal's ironwork roof was recently restored. It is a listed historic building. Down the quay from Terminal 1 is Terminal 2. Built in 1999 and it is a modern structure. 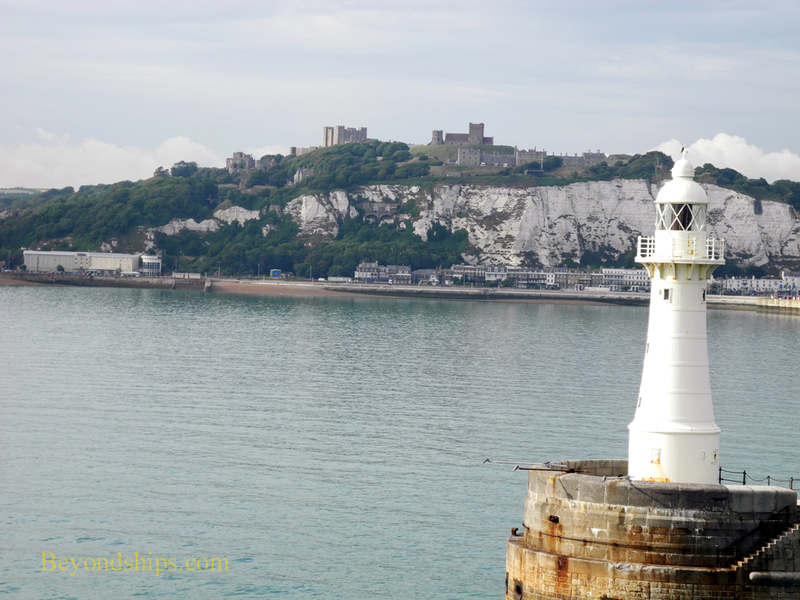 There are a number of ways to get to Dover from London. A scheduled bus service operates from Victoria Bus Station. However, beware that there are luggage limitations. Independent operators also provide shuttle or coach service. There are also parking facilities near the terminals. Although there is train service to Dover from several London train stations, the best is the trains from St. Pancras station. 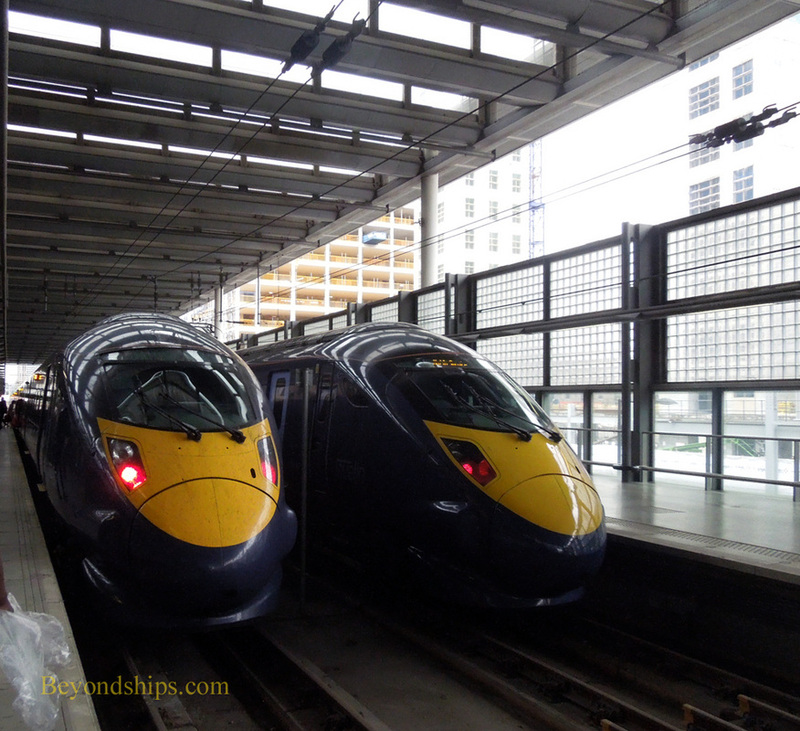 These are fast trains that operate on the same tracks used by the Eurostar trains. The station in Dover is called Dover Priory. From there, you can take a taxi for the short ride to the cruise terminals. Above: Saga Pearl 2 in Dover. Below: Pacific Princess at Dover Terminal 2. 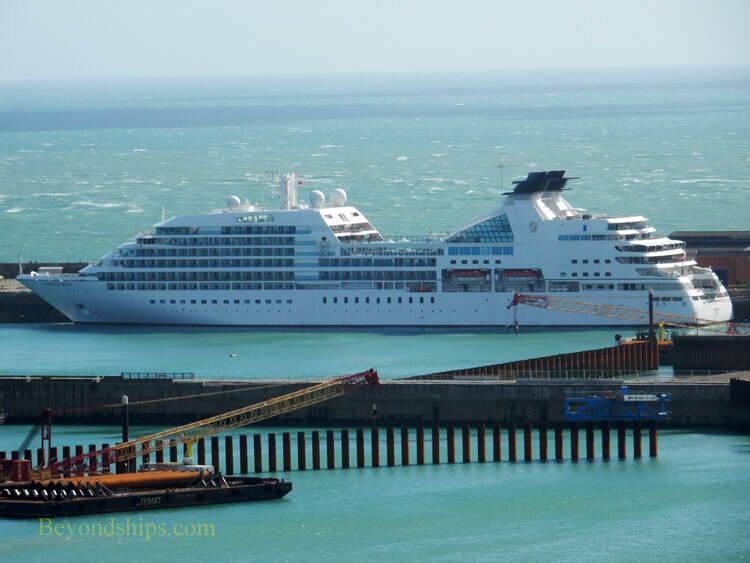 Above left: Seabourn Quest in Dover. ​Below: High speed trains run from London's St. Pancres Station to Dover Priory.